Baggin’ Time! A Look Back at Recent Comics Before Sealing Them Away in Plastic Forever – Dork Forty! So it’s funnybook bagging time here on the nerd farm. This is a task, much like harvesting the crops, that I undertake only once or twice a year. I could keep up with it weekly pretty easy, I suppose. Just buy a bag along with each new comic, and stuff ’em in as I read. But that seems like too much fuss. Besides… There’s so much space in a funnybook bag. Putting anything less than two comics in one just seems like a waste. Which I guess tells you that I’m not real big on the “collecting” side of comics collecting. I could (and probably should) cut my collection down to a box or three of special oddities. I do love having an original Spirit Sunday Section, for instance. 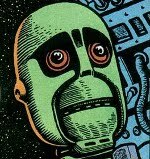 A complete run of Jack Kirby’s unlikely-to-ever-be-reprinted 2001: A Space Odyssey. A Tick ashcan edition with a weird post-apocalyptic “Yogi’s Ark” story in the back. Stuff like that. But the only reason I bag at all is because bags help prevent spine roll and a few other weird things that happen to floppies when you store them upright in a box. On the odd chance that something I buy might come to be worth something someday, it’s nice to have it in good shape. And, if I’m going to be honest, I’m just OCD enough that I want my stuff to be nice. And so, bagging. I generally wait until the stack of unbagged books gets to be about the height of the comic box I prop it up against. Then I sit down and get to work. One of the great advantages to doing things this way is that it lets me periodically review what I’m buying. Everything’s laid out together, and it gives me perspective. Reminds me of what I’m really enjoying, and what I maybe should consider dropping because I’m not enjoying it enough. 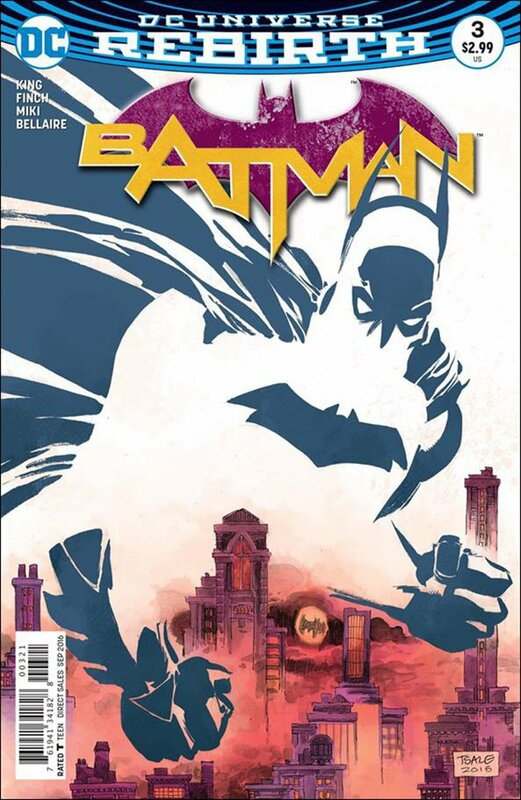 This round, for instance, convinced me that I really don’t need those Tom King Batman comics I had so much hope for earlier in the year. There are things to like in those books. The obscure villains King’s been dusting off, the nods to great old-school ridiculousness like Alfred in a Batman costume… Even Gotham Girl has grown on me. But in the end, the run is just too compromised by the whole corporate comics event game. The stories are too slight, and they haven’t headed anywhere I found very interesting. So they’ll be going into the “for sale” box. 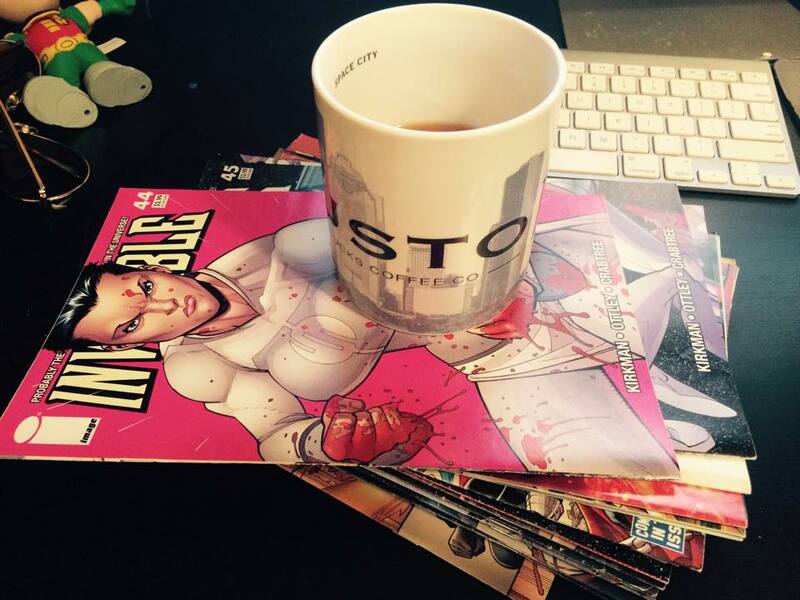 Joining them… and this one really surprised me… is Kaare Andrews’ The One%. But there’s still something kind of… dissatisfying to me about the series. It may be the tone. Andrews veers back and forth between the comedy of the aforementioned parody and a sadistic fascination with the revenge Our Hero visits upon his fat-cat foes. It makes for an uneven reading experience, one that often leaves me unsure if I’m supposed to be laughing or disturbed. Not that those two things are mutually exclusive, of course. But I like disturbing humor, and this doesn’t push that button for me. It’s too hateful to be funny, and too ridiculous to take seriously. So, in spite of how pretty it is, The One% isn’t making it into the nerd farm’s permanent collection. 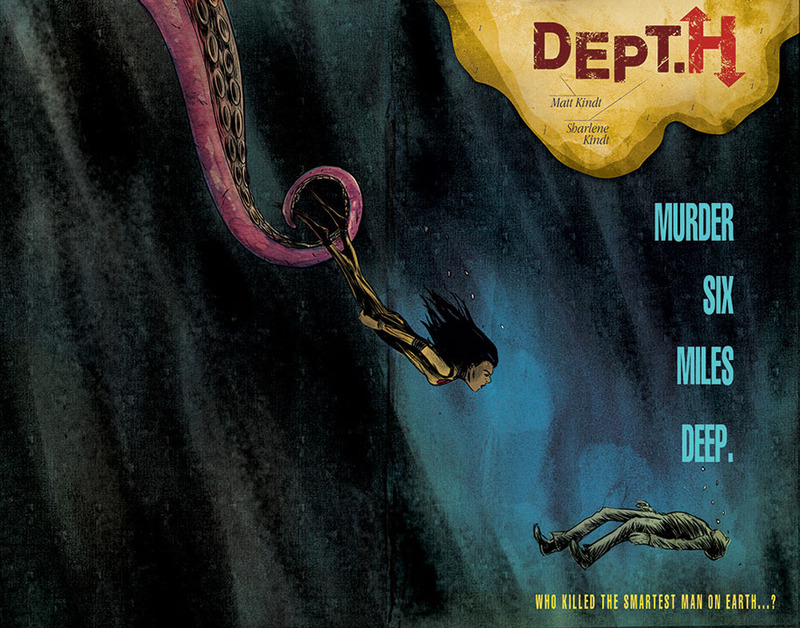 Another cut, I’m afraid, may be Matt Kindt’s DeptH. This is another book driven by a unique creative vision, with a strong design sense, appealing art, and even a nice element of weirdness about it. I feel like it’s something I should love. I WANT to love it, even. I just don’t. The deep-sea exploration setting is not something I have a natural affinity for, but it’s grown on me over time. And I’ve come to appreciate the elements of mystery, the “who can you trust?” narrative, more than I did at first. But there’s something that’s just a little too… bog-standard about the way Kindt’s approaching this story. The main character feels a bit too familiar, and her personal story is unfolding in the way you’d expect it to in any mainstream movie you’d care to name. It’s all well-done, don’t get me wrong. But I think I want something a little weirder. Something that’s going to surprise me more. A story told in such a way that I have to work a little bit. SOMEthing. I like Kindt’s stuff enough that I’m going to give it another issue or two, but ultimately… I don’t think this book’s going to make it. 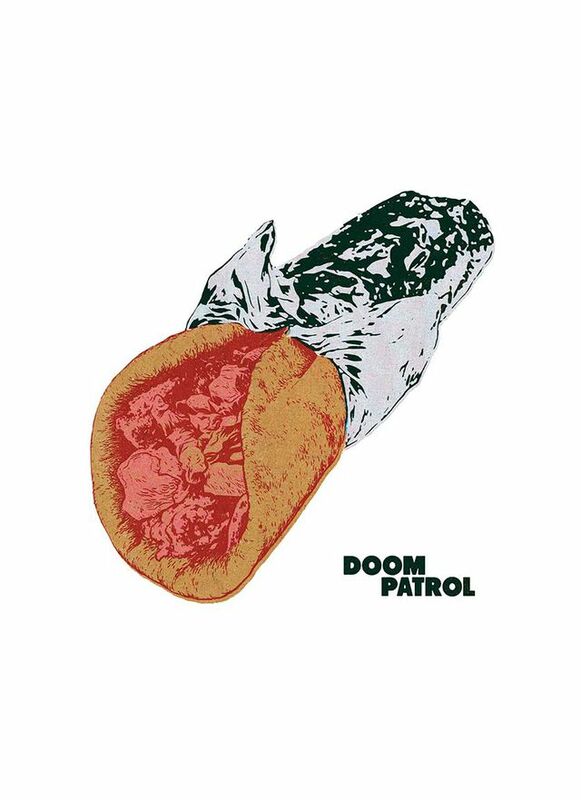 The jury’s also still out on Gerard Way’s Doom Patrol relaunch, from his “Young Animal” line of neo-Vertigo titles for DC Comics. This one’s plenty weird, and the storytelling is pretty dense. But sometimes I think it’s not “dense” so much as it’s just missing something. I worry that there’s nothing behind it. No genuine depth. And the weirdness isn’t really weird enough to carry the book on its own. I felt the same way about his Killjoys series, and wound up dropping that after maybe four issues. I hope to hang on here a bit longer, if only because I really love the characters. But I dunno. Now Way’s other Young Animal book, the one he’s only co-writing, is another beast entirely. 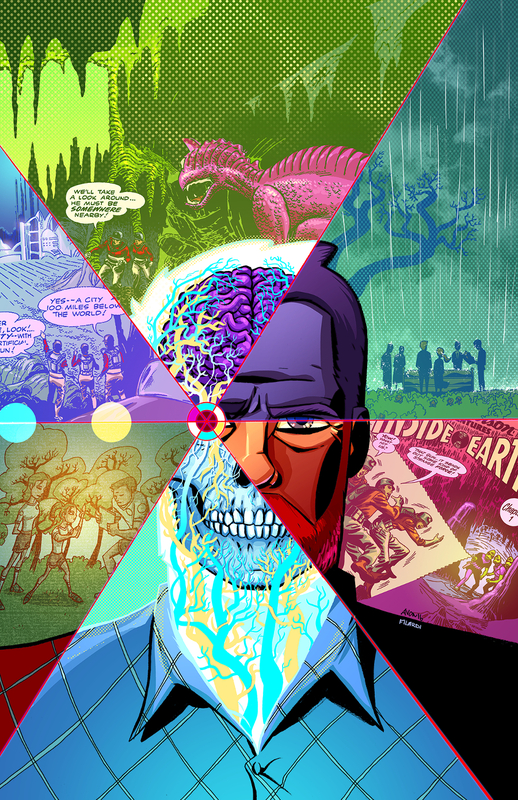 Cave Carson Has a Cybernetic Eye is great fun. In a depressing, messy, midlife crisis sort of way. And it’s fun seeing Mike Oeming drawing a book that doesn’t feel like the writer has burned out and given up. Which, yes, is a Powers burn. But, holy god. I just can’t do it anymore. Maybe if Bendis stops writing every work-for-hire thing in the damn world, so he can actually concentrate on something I might want to read, I’ll give it another shot. But as is… Sheesh. I was reminded, though, of how very good Stray Bullets really is. Not that I’ve really forgotten, but when a book is so consistently good, month in and month out, sometimes you start taking it for granted. And lord knows the current Sunshine and Roses arc has gone on far longer than I ever expected it to. Longer than I ever really thought it could, even. But seeing all those issues together really brought home how much I’ve enjoyed reading it all this time. Lapham’s a genius at telling long-form stories in bite-sized chunks. Most individual issues have an arc of their own, even as they advance the larger story forward. Seriously. 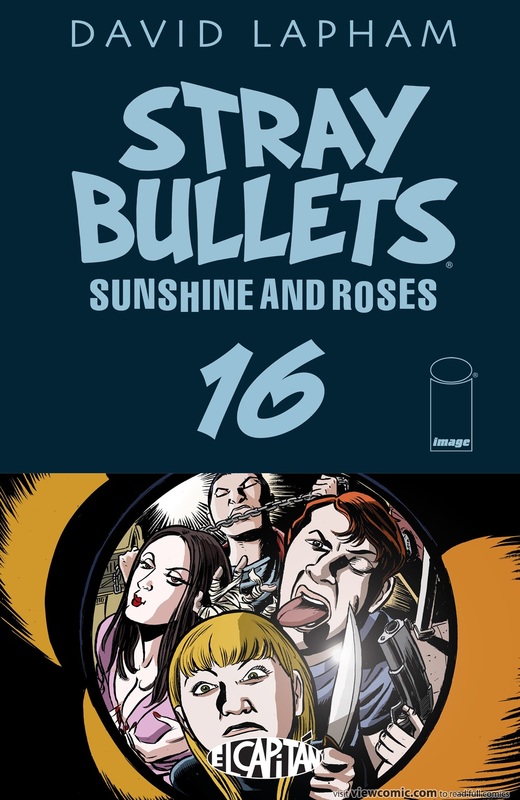 If you like crime fiction, and you’re not reading Stray Bullets, you’re missing out.